When I first started selling automotive aftermarket products to new car dealerships, I learned how incredibly important it is to SERVICE the dealership that was selling my products. When I signed up a new car dealer to sell my products, some of my products were ‘front loaded’ on all the inventory on the car lot. By ‘front loaded’ I mean that certain products, like starter kill switches, or anti-theft devices were installed on ALL the new car inventory. 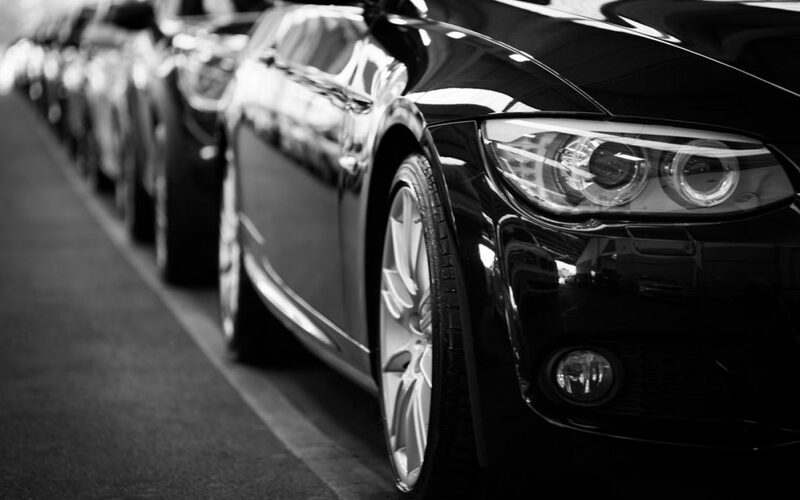 This procedure had two benefits to the dealer: it reduced the Garage Keepers Liability Insurance policy monthly premium because ALL the cars were more difficult to steal off the lot after closing hours. And since the products were already installed, the likelihood of selling them to a buyer was greatly enhanced. Thus providing increased revenue to the dealership. And believe me when I say this, there is not a greedier type of owner than at a new car dealership. It costs an incredible amount of money to operate one of those and if you can help the dealer recoup a fair share of his expenses then you are indispensable. Once I signed up a new dealer to sell my products, which meant convincing the dealer principal or owner to do business with me, then my real job began. I made it my mission to meet and educate every person in that dealership about my products and to make sure they had my contact information in case they needed me. I would start with the General Manager. Then the Accounts payable Manager and all their staff. This individual was critical to my success at getting me paid in a timely manner. Then I would seek out the lot porters and folks who detail the cars for delivery when sold. In other words, I wanted to be visible and be known by EVERYBODY in that dealership. And to make sure I was visible, every week when I stopped into the dealership to check on inventory, installations, sales, promotions, training, etc I would bring either dozens of donuts, bagels and cream cheese or some type of candy. I would single out a particular department weekly and give out the treats and sweets. And why was this so important? Because the last thing you ever wanted was for a problem to arise, such as a malfunctioning product or the dealership running out of sales material or samples and that negative getting back to the one individual who could decide to remove me and my products….the dealer principal or owner(s). I took care of all the departments and they, in turn, took care of me. Selling products to a dealership is very difficult, as they can only have one alarm brand, one independent service contract, one window etch, one paint sealant, and so forth. Every aftermarket products company salesman, my competitors, were constantly in my dealerships trying to convince the dealer principal to get rid of me and my products and take on their products. But because I had blanketed ALL the departments, training, servicing and bringing goodies to eat every week, they would always give a glowing report card to the owner about how happy they were with my products, training, and servicing to see that I handled each and every issue that came up. The point I’m trying to make here is IF you have the type of business where you see your customers or clients on a regular schedule, SERVICE them like you could lose them tomorrow. Learn what they need to succeed in selling your products or services. Train and re-train constantly to ensure your dealer’s success. In this particular case, the dealership was my customer. When they sold lots of my products because they were well trained and motivated, the dealer owner wanted me and my products there. And that folks is job security from a job well done. Take a moment and think about your clients. The ones you see on a regular weekly or monthly basis. Can they live and perform without you? See ya in the next blog post.